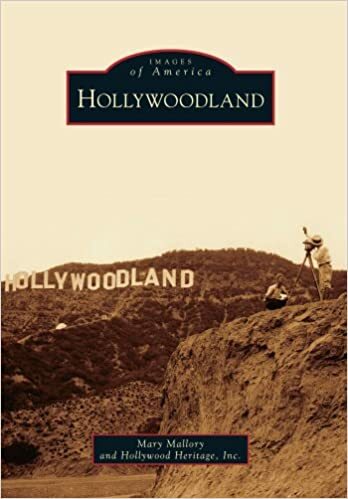 Established by real estate developers Tracy E. Shoults and S. H. Woodruff in 1923, Hollywoodland was one of the first hillside developments built in Hollywood. Touting its class and sophistication, the neighborhood promoted a European influence, featuring such unique elements as stone retaining walls and stairways, along with elegant Spanish, Mediterranean, French Normandy, and English Tudor–styled homes thoughtfully placed onto the hillsides. The community contains one of the world’s most recognizable landmarks, the Hollywood sign, originally constructed as a giant billboard for the development and reading “Hollywoodland.” The book illustrates the development of the upper section of Beachwood Canyon known as Hollywoodland with historical photographs from Hollywood Heritage’s S. H. Woodruff Collection as well as from other archives, institutions, and individuals.